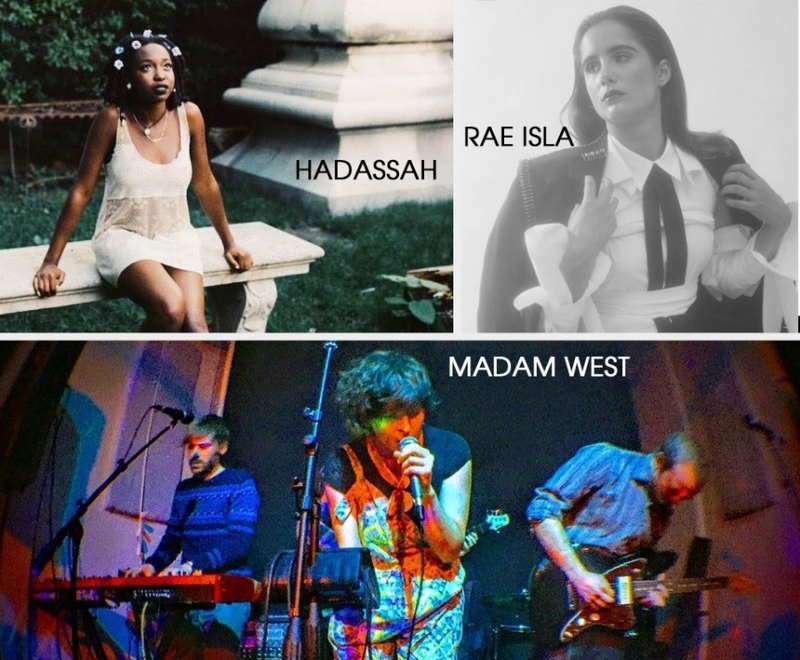 Laser focused on booking the best emerging NYC artists from genres ranging from pop to soul to hip hop, The National Sawdust's monthly Revolution series returns this coming Saturday (August 25th) with its 30th installment involving three talented soulful artists. Latinx American singer, songwriter, and producer RAE ISLA writes stylish and passionate songs about love and our connection to the divine; African-American female neo-soul singer and songwriter from Long Island, Hadassah delivers experiential stories while fusing jazz, soul, and electronica on a minimalist backdrop; NYC-based psych-soul quintet Madam West seek to find, through their songs, the sunlight that remains—even in a cold-shouldered city, during what often seems like the darkest of times. Listen to a playlist of their songs below, and don't miss them live on Saturday at Revolution #30!